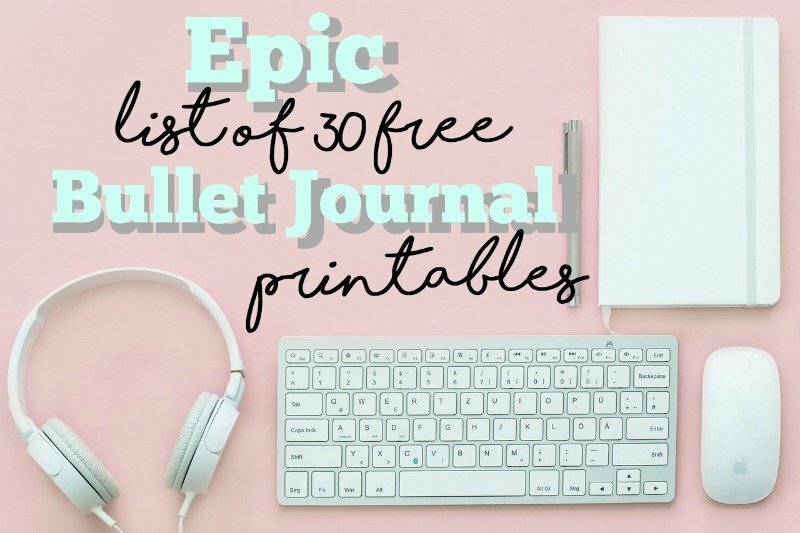 This epic list of free bullet journal printables has something for everyone. Whether you’re looking for weekly spreads, monthly spreads, or stickers and such, you can find the best here. 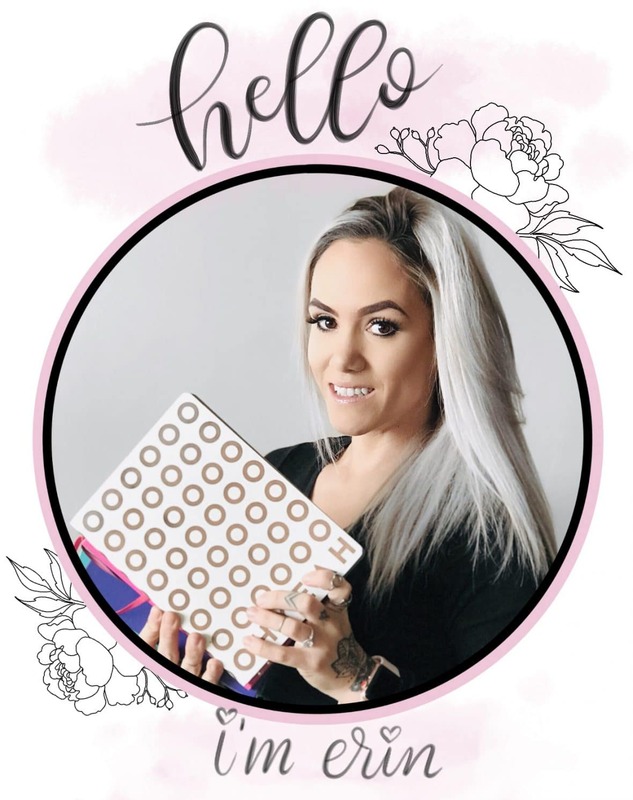 I make free bullet journal printables, but I’m not greedy. I know my designs and layouts may not suit everyone’s wants and needs. Luckily, there are about 1000+ other bloggers out there who also share free printables. 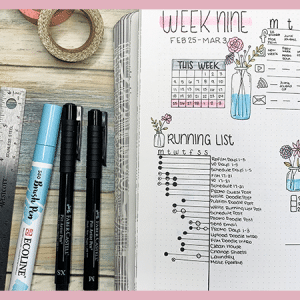 I’ve taken the time to weed through Pinterest and Google to bring you what I feel are high-quality printables for your bullet journal. Be sure to read the instructions provided with the printable. Some pages require certain printer setting, like selecting “fit to size” or “actual size”. Check the size before downloading and printing. 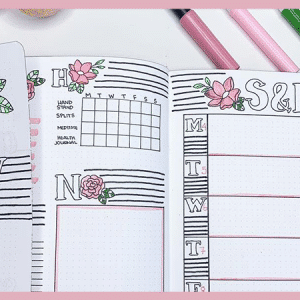 If the printable is standard letter size and you would like to resize it to fit your A5 Planner, click here and find out how. and getting an adjustable 3-hole-punch. Use heavy duty printing paper so you don’t end up with ghosting or bleeding. 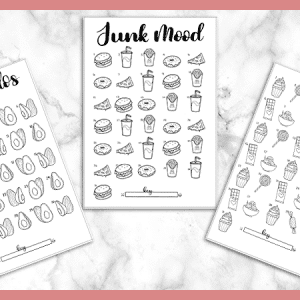 I’m curious what you think about printables. Do you use them fairly often? Do you ever pay for printables? What do you like or dislike in a printable? Asking for a friend… Okay, I’m not. I’m asking because I make printables and I want to give you guys more of what you want and will be most effective for both of us. Thank you, Jenniffer! Thanks for sharing such an amazing and useful printable!